Jamaican security forces on Monday raided the stronghold of a powerful alleged drug kingpin wanted by the United States, causing casualties as the island's crisis caused growing alarm. 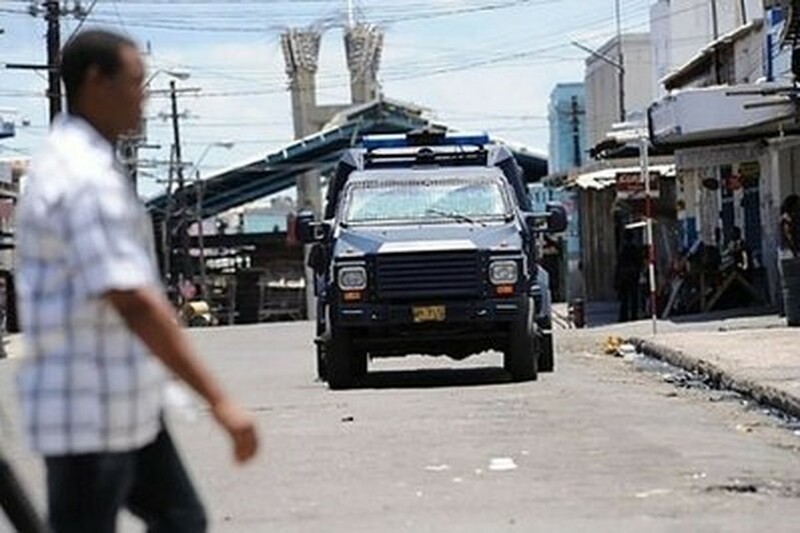 Backed by troops and loud helicopters, police stormed an impoverished neighborhood of western Kingston where reputed gang leader Christopher "Dudus" Coke is holed up, a day after the government declared a state of emergency. "Somebody please come help we, somebody please come help we," a woman said on local radio from the Tivoli Gardens area. She said a girl was killed, while witnesses also reported unspecified casualties among security forces. A police vehicle patrols the street in Kingston, Jamaica. Police advised people to remain indoors in Kingston, where Coke's supporters erected barricades to protect him. Power was cut off overnight. "The threat level is now at grave," a police statement said. Overnight, police said two officers were killed and six others wounded, the first casualties in a week-long crisis which erupted when the government signed a warrant to arrest Coke. Coke enjoys popular support among some Kingston residents who see him as a sort of local Robin Hood, helping impoverished Jamaicans. But Coke is also wanted by the United States, where the Department of Justice lists him among the "world's most dangerous narcotics kingpins." He is accused since the 1990s of leading an international gang known as "The Shower Posse," which US prosecutors say sells marijuana and crack cocaine in the New York area and elsewhere. He was formally charged in the United States in August with conspiracy to traffic drugs and illegal weapons, and if convicted faces mandatory life imprisonment. The head of the Organization of the Americas, Jose Miguel Insulza, said the situation in Jamaica was "worrying." The regional body "backs with all our force the Jamaican government," he said in Washington. The US embassy was suspending non-essential services because of the "deteriorating situation" in Jamaica, State Department spokesman Philip Crowley said. Hopes for a resolution of the crisis rose early Monday after a lawyer for Coke, Don Foote, said he had scheduled a meeting with the US embassy. However, a spokeswoman for the US embassy, Rebecca Park, said she was not aware of any meeting, although she did not rule out dialogue in the future. Armed supporters of Coke roamed through the streets. Gangs burned down a police station and also stockpiled a large cache of weapons, including large-gauge rifles, officials said. Police commissioner Owen Ellington toured Kingston and urged his force to respond to what he called "calculated, vile and cold actions" against them. "Do not hesitate to respond quickly and take decisive action when attacked by these criminals as it is now patently clear that they are hellbent on causing mayhem in the society," Ellington said. Jamaica has long been a transit point for drug trafficking, but the United States until recently had hailed the government's response. But the United States has recently questioned Jamaica, alleging Coke was protected by ties to the ruling Jamaica Labour Party. The latest State Department report on drug trafficking said delays in extraditions "have called into question Kingston's commitment to law enforcement cooperation with the US." Golding himself represents Coke's Tivoli Gardens area in the Jamaican parliament and had hesitated at signing off on Coke's extradition, raising questions about the process. But in a national address late Sunday, Golding declared a state of emergency and vowed to pursue Coke's arrest and extradition. 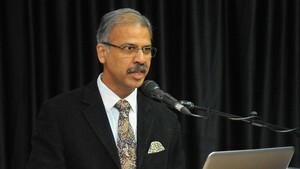 "The criminal element who have placed the society under siege will not be allowed to triumph," Golding said. He said the state of emergency in Kingston "will be a turning point for us as a nation to confront the powers of evil that have penalized the society and earned us the unenviable label as one of the murder capitals of the world. "We must confront this criminal element with determination and unqualified resolve," he said. But to Kingston residents, Coke is more like a godfather. Thousands marched through the city Thursday chanting, "Leave Dudus alone, leave Dudus alone." "He is next to God," one demonstrator said. "Just like how Jesus died on the cross for us, we are willing to die for Dudus," said another.